Cannabidiol (CBD) is a natural herbal extract derived from the Cannabis sativa (hemp) plant. Hemp has been used by people for thousands of years. Hemp grows naturally without herbicides. The leaves and seeds are packed with essential nutrients. The stalk can be used to make strong, eco-friendly fibers and plastics. Hemp oil can be used to create a non-toxic biofuel. Hemp is not marijuana. Though the two plants have the same general leaf structure, their genetic makeup is different. Hemp must not contain more than 0.3% THC and therefore cannot produce a “high.” Hemp CBD is safe, easy to use and provides numerous adaptogenic benefits. Scientifically, CBD is anti-inflammatory, analgesic and anti-anxiety. CBD is not psychoactive and will not get you high no matter how much is taken. CBD can be purchased over-the-counter and a doctor's prescription is not necessary. A form of hemp that has been genetically modified does not exist, so all CBD and hemp oil derived products are pure, natural and non-GMO. Cannabidiol and hemp are gluten-free and non-toxic. Cannabinoids – Cannabis sativa contains more than 100 different compounds called phytocannabinoids that can affect the human body in various ways. 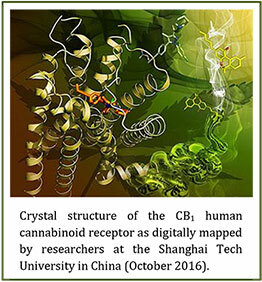 Cannabinoids include CBG (cannabigerol), CBN (cannabinol) as well as CBD and THC. THC (Δ9-tetrahydrocannabinol) – Of the many cannabinoids present in Cannabis sativa, THC is the most famous and controversial. 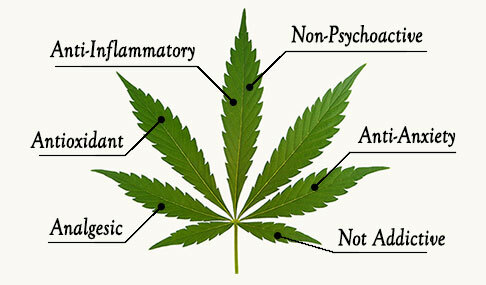 THC is psychotropic and is responsible for the “high” when using marijuana. The substance can affect many areas of the brain including emotions, imagination, memory, cognition, coordination and spatial awareness. THC mimics a natural brain chemical called anandamide which produces pleasure and euphoria. Terpenes – Additional compounds found in plants that account for aroma and flavor. Science is beginning to show that some cannabis terpenes, such as myrcene and limonene, may also have health benefits. Entourage Effect – The natural world does not usually isolate chemicals, but keeps them together as a holistic unit. The Entourage Effect is the belief that all the plant’s compounds work better together rather than individually. A “full spectrum” extract takes advantage of this synergy. Medical Marijuana – Many states now recognize the healing benefits of cannabis and have established programs for providing this medicine to qualified individuals. Medical Marijuana primarily focuses on THC’s ability to treat a variety of conditions including cancer, Crohn’s Disease, epilepsy, HIV, MS and PTSD. Two notable advantages of using marijuana as medicine are its relatively low addiction rate and near impossibility of an overdose. Scientific understanding of Cannabis sativa starts with the discovery in the 1980s of the endocannabinoid system. This endogenous network is a set of G-protein-coupled receptors (CB1 and CB2) that are present in the body of all human beings (and many animals). When cannabidiol (CBD) is consumed it binds to the CB1 and CB2 receptors of the body which initiates a complex chemical reaction that produces anti-inflammatory, analgesic and anti-anxiety benefits. A growing body of scientific evidence shows that CBD may also be anti-seizure, antioxidant, neuroprotective, anti-tumor, antifibrotic and anti-psychotic. It is also possible that CBD could be helpful in the treatment of substance abuse and efforts to reduce tobacco use. Similar to other natural remedies, its effectiveness depends on routine and sustained usage. Dosage amounts will depend on the needs of each individual. Unlike THC, the interaction of CBD on the endocannabinoid system does not produce euphoria or intoxication. No "high" results from using CBD. In fact, research has shown that CBD can act as an "inverse agonist" on the endocannabinoid receptors which can actually reverse or mitigate the effects of THC. Without the presence of substantial amounts of THC, using CBD will not produce a “high” no matter how much is consumed. This gives CBD a reassuring positive safety profile in addition to its being non-addictive and currently having no known side effects. CBD’s anti-anxiety benefits are due to how it affects both the limbic and paralimbic areas of the brain. Studies have shown that CBD impacts activity in the areas of the brain (such as the hippocampus) linked to phobias and social anxiety disorders. It is possible that CBD may be able to relieve symptoms for people with clinically significant anxiety. The ability of CBD to relieve inflammation and address oxidative stress is complex and an area of continued scientific study. One area of research is focusing on CBD’s actions on immune cells, such as monocytes and macrophages that are responsible for inflammatory diseases. Additionally, CBD may provide balance to the body by reducing free radicals and the physical problems they cause. The naming conventions used by botanists have made understanding the properties of certain plants unnecessarily confusing. For example, take Papaver somniferum, commonly known as opium. Chemicals in the opium plant can be used to manufacture highly potent and deadly narcotics such as heroin and morphine. A synthetic form of the chemical thebaine from opium is used by pharmaceutical companies to produce the addictive pain medication Oxycodone. Another component of opium is used as a cough suppressant (Codeine). Yet, a different strain of the plant can yield poppy seeds that are harmlessly used on bagels and muffins. Another strain of opium is legally sold for flower gardens. Even though all strains of Papaver somniferum possess various amounts of narcotic chemicals, some plant strains only contain tiny trace amounts that have no effect on the body. In the case of Cannabis sativa, there are also different versions of the same plant. There is a strain of cannabis commonly referred to as "marijuana" that contains significant percentages of THC that produces a psychedelic effect in the human brain. The strains of cannabis used for medical purposes include Cannabis indica and a high-THC version of Cannabis sativa or hybrids of the two. Industrial hemp used for fiber, food and CBD extracts is a different strain of cannabis that contains high amounts of CBD, but only a trace level of THC (the legal limit is less than 0.3%). Hemp grows differently than marijuana with straight tall stalks rather than being short and bushy. Though the shapes of the leaves are similar between marijuana and industrial hemp, the two plants have some significant differences in how they grow and the chemical makeup inside of them.